What’s longer – the Great Wall of China or the diameter of the Moon? The number one science data app. 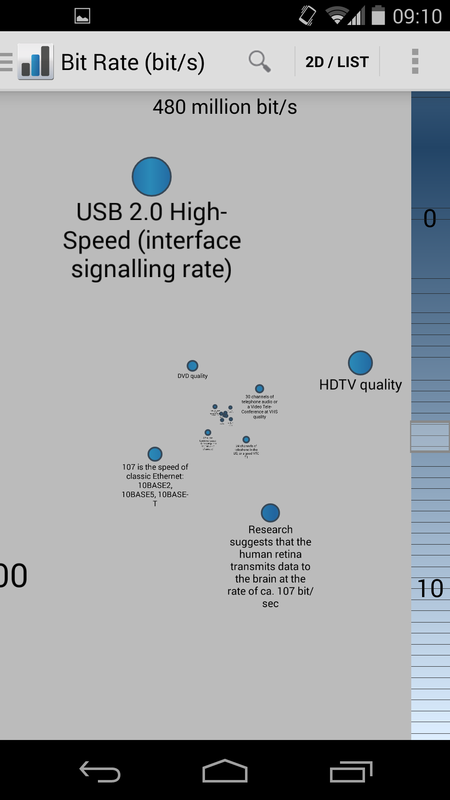 Compare size, time, matter and much more. Instant search provides fast fact validation on the go. 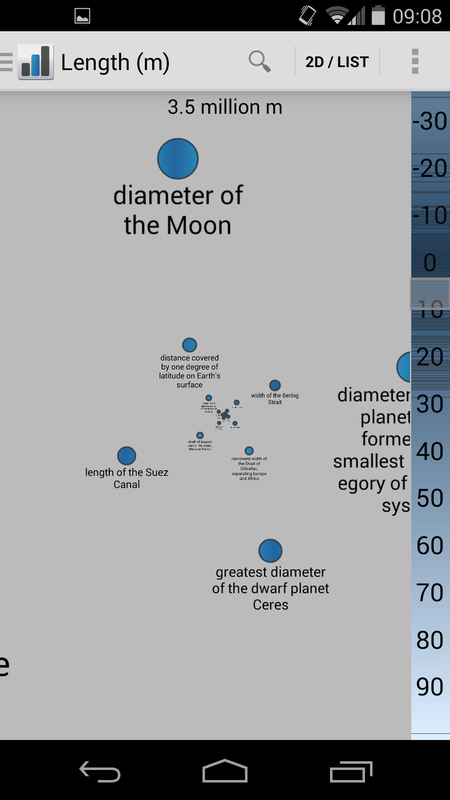 Size: Search for dimensions of the Milky Way or a red blodd cell. 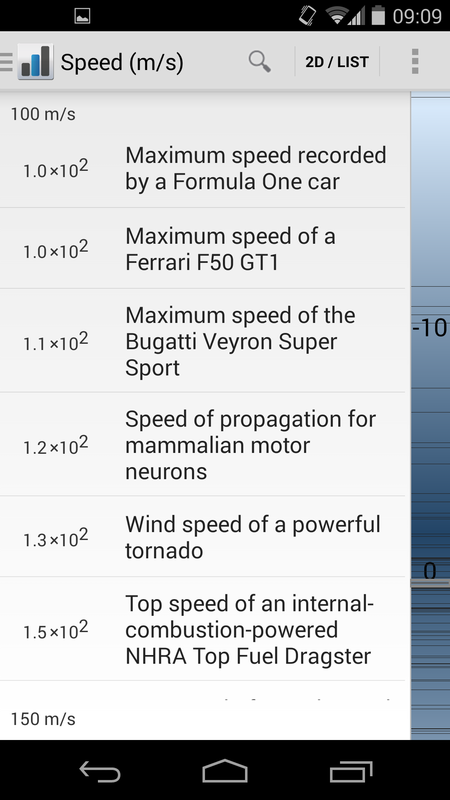 Time: Can a Ferrari compete to the speed of a powerful tornado? Matter: Bacteria, elephants and black holes. Energy: Get a feeling for Einsteins E=mc²! Light: Candles, light bulbs and stars. 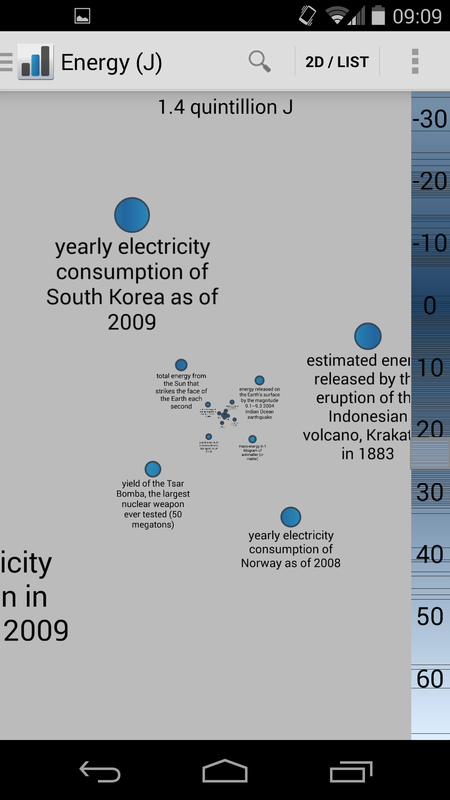 Electricity: Do you know the average total power consumption of the human world? Information: From digital music to USB transfer rates. Numbers: The odds of a royal flush in poker: 150 millionth percent. 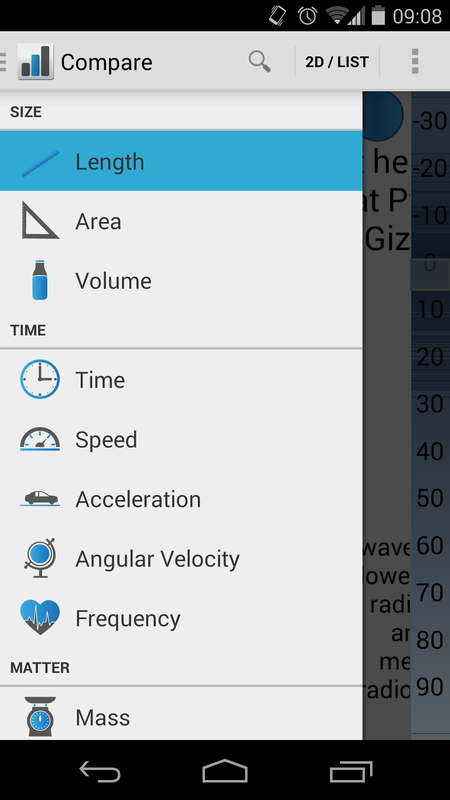 The app for physics, math, chemistry, electricity and geology. Explore and compare data on your phone.